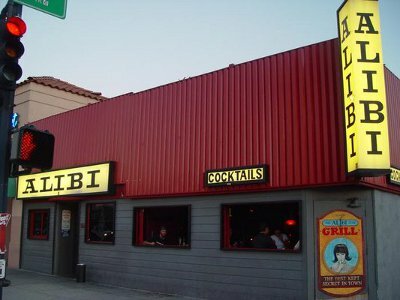 The Alibi is a larger dive on the main drag of Hillcrest. They have plenty of locals yet draw plenty a tourist with their crowd and charm. They have all the standard digs a dive must have: a pool table, jukebox, and a smoking patio in the rear. They often have bands play on the weekends and on occasion other forms of entertainment. The bartenders are heavy handed and you are likely to find yourself holding a tall boy loud and proud.